In my own work with Isis over the years, I have come to settle on four qualities that seem to me to capture much of Her “flavor” for me. They are power, wisdom, love, and magic. 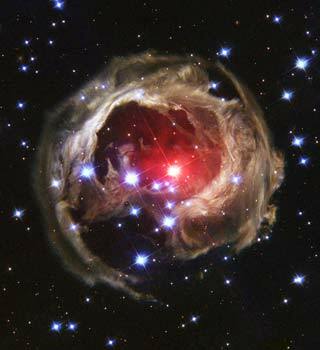 An image from the Hubble Space Telescope of the red giant star V838 in the Monocerotis (Unicorn) constellation with dust clouds and "light echoes." Looks like the womb of the Goddess to me. 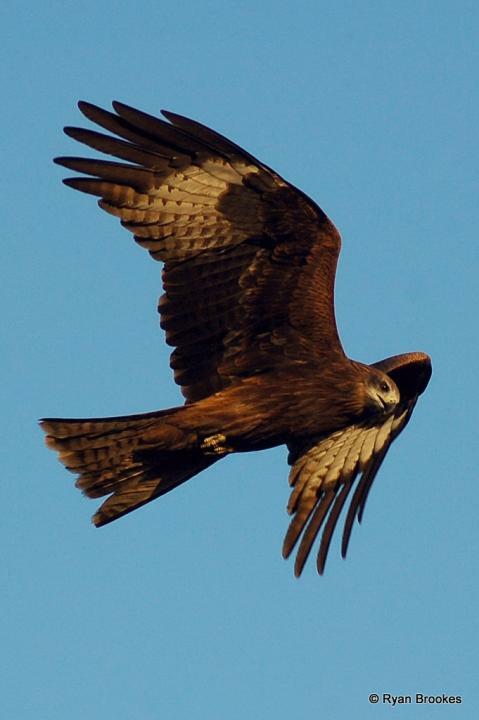 When we first come to Isis, we often immediately perceive Her love, flowing out to us, enfolding us in Her sheltering wings. We are warmed in Her love. We rest in Her wings. Her power reveals itself later. But there is another, more earthly, kind of power that She shows us as well. And this is the power of persistence. Plutarch, in his essay On Isis and Osiris, says that Isis serves as an example to those enduring suffering in life. And so She does. As Her myths instruct, each time the Goddess suffers a tragedy, She uses Her power to pick Herself up and go on; and ultimately, to succeed. Perhaps this seems a boring power? I don’t think so. For human beings, I believe this power of the Goddess is one of the keys to living. We will all experience pain, failure, death; indeed, some will suffer more than others. But we can all look to the stories of our Goddess passing through these things Herself to find our own power. What’s more, in our times of trouble, we can borrow some of Her strength. She will lend it to us in abundance. She is the fount of power, both mystical and persistent, and She never, ever runs dry. When we are in pain, She will take our hands and She will make us stronger, filling us with Her holy power. Previous Previous post: Isis and … Aesop? Hi ‘Sis i’m in the hospital recovering from hip replacement surgery and learning to walk again! I so appreciate your recent ISIS blogs. Ask Her to give me an extra special Hug! what I am intuiting now too. Hello from Australia Isidora! I don’t think that is a boring power either, it’s actually very inspirational. And in the nebula that you say looks like Her womb, I can kinda see a baby’s face, can you? Nawww he is a cute baby!